One of the things I love most about blogging is discovering new blogs & people and getting to know a little about them and their interests. Link ups are a great way to do this and today I am pleased to announce that I will be linking up with the lovely ladies from A Complete Waste of Makeup & Ashley's Carnival Ride in their latest and greatest creation known as The Sunday Social! To many Lady Elizabeth Grace may appear to be some silly moniker I came up with but it's actually a name with deep and personal meaning. Lady : My Grampsie was the most influential person in my life. He was a quiet gentle man, whose voice still guides my life and whose virtues I strive to make proud. Our family lineage in England can be traced back to nobility and so "Lady" is my way of honoring my Grampsie, our family, and serves as a reminder to myself to always attempt to conduct myself as such. 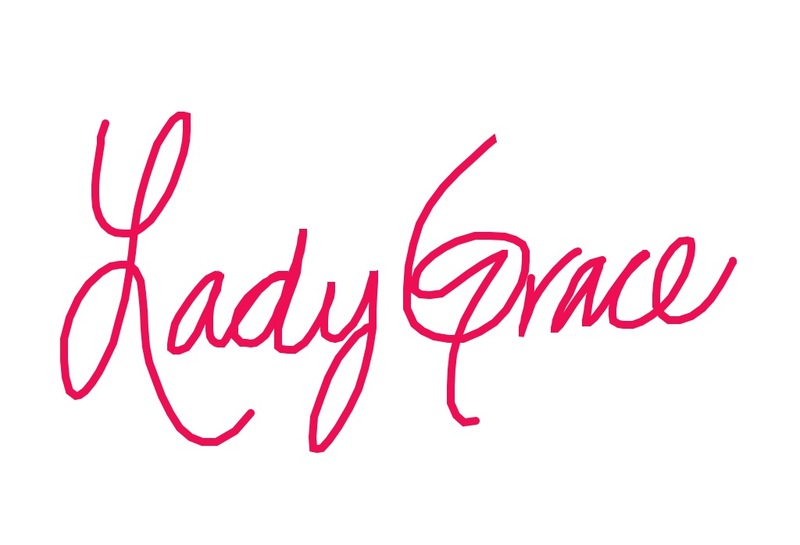 Grace: One of my favorite words, a lovely attribute to possess and one of my favorite names. I have a dear friend whose name is Grace who embodies and personifies not only grace, but style and elegance as well. She is one of the muses of Lady Elizabeth Grace. I take the majority of my photos for my blog with my iPhone, usually because it is the easiest and most accessible option at the time, and I love the apps Diptic & Instagram. I use both of them ALL of the time. I'm not going to lie, I'm a little surprised by my own answer but, Twitter. I've connected and stay in touch with some wonderful girls and fellow bloggers and we have a lot of fun. I just read this question and the first person to pop into my mind was Rachel Zoe. She has truly become the modern day fashion & style icon. My blog is truly an extension of who I am. A lot of people create blogs & are very focused on gaining followers, monetizing their blogs and really marketing themselves. There is absolutely nothing wrong with this, but it's just not who I am or what this blog is about. For those of you that do interact with my blog I hope you connect with it, I hope you enjoy it & have fun. Please don't hesitate to leave comments, email me or connect with me on Facebook & Twitter. I really love hearing from and connecting with you! I hope you have enjoyed the 1st Sunday Social, and I hope you have a great day. Thank you so much for taking the time to check out my blog. You have a great blog as well. I look forward to staying in touch. I love this Sunday Social thing... first I've seen of it. Very cool! And every time I read you and think of you, Lady Elizabeth Grace seems VERY fitting. You seem to fit ALL of those, lovely, graceful, kind, sincere, elegant, poised. Loved getting to know you!!! You are so kind. It has been truly wonderful to meet and get to know so many people. It is funny how we can all be so far apart and yet so connected all at the same time. I hope you and your family have had a nice weekend. I look forward to keeping in touch. Thank you again for the kind words. I love this, what a fun idea. Love the name of your blog. I started because I was deployed and wanted to keep my family up on what was happening while I was gone. Obvi they can't forget me :).